Singapore has come a long way from its developing nation status and the unemployment baggage that comes with such to arrive at its current first world status. While small businesses flourish in the Asian country, employment opportunities have soared as well. With Singapore’s push to become a Smart Economy, sectors like manufacturing, Information Technology (IT) and Healthcare have evolved over time. More people now desire careers in these sectors. This has left the physical retail stores clutching at straws as e-commerce has changed the narrative in that sector. To a job seeker, gaining an employment opportunity is definitely a big deal, but the associated paycheck is much bigger. For those unaware, Singapore has industries with the highest paycheck you can think of. These mouthwatering salaries aren’t just for those at the top of the company. Entry-level employees in these industries have been known to command salaries that leave many onlookers green with envy. While working with figures might appear drab, these professionals are cashing out more money than you think. According to Kelly Services Salary Guide for 2018, accounting experts earn as much as $15000 monthly. This shouldn’t come as a surprise since this is probably one of the most versatile career paths in existence. The services of accountants are in great demand in the corporate space to oversee different strategic roles such as funding, risk management, financial management and a lot more. Since there are not enough accountancy professionals with the experience to fill these roles, the competition to secure the services of those available leads to higher paycheck offers. Not bad for such a boring job! Over time, the activities of this industry have stayed behind the curtains, and the professionals involved continue to command attractive salaries without much noise. From the findings in the Gemini Personnel Group Salary Guide in Singapore, the compliant management industry has salary earnings of an entry employee running in thousands of dollars. Well, you can’t fault them. Saddled with the responsibility of maintaining standards for other industries, keeping the beak of their employees adequately wet appears to be super productive. 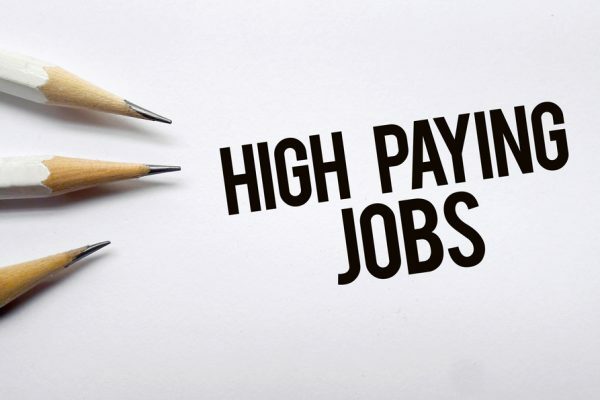 From the lowly operations analysts and fraud investigators to the executives that form part of the decision-making team, the professionals in the compliant industry are getting paid significant salaries that you can only dream of. The professionals in this industry might not be one of the top earners elsewhere, but in Singapore, they earn amazing paychecks. And there is a reason for this. Singapore has a robust liquid and capital market with many companies preferring to list in the country. There are more than 700 companies listed on the Singaporean Exchange and a significant market capitalization sum to match this. With salaries varying between $4,500 and $19,000, individuals working in the Singaporean banking and finance sector are the envy of their mates in other industries. The Singaporean authorities are looking to increase the number of professionals working in the sector by making an entry into financial technology, expanding the asset management niche and establish the country as the first choice when it comes to financing in the Asian continent. The future looks bright for anyone interested in a career in banking and finance. In Singapore, like everywhere else, skilled labor comes at a steep price – high monumental salaries. Due to the strong demand for individuals with disciplines in engineering and other technical vocation, the salary structure for experts that possess the necessary track has been on the increase. Professionals in this industry earn between $2000 and $9000 on a monthly basis. One of the reasons why the engineering and technical industry remains a high paying one for professionals is the wide array of sectors that depend on this industry to survive. Transport, electronics, info-communications, and media are some of the sectors serviced by the personnel from the engineering and technical industry. With the launch of the industry transformation map for electronic engineering in Singapore, individuals in this discipline will remain in high demand for a long time. Though popular, customer service remains the industry with the widest range of opportunities. Just about every sector depends on the industry to function effectively. Every company needs a professional who understands customer relations, company processes and can relate the same to a customer when necessary. With salaries varying between $1500 and $7000, professionals in this industry occupy the last spot on this list. Customer service has evolved over the years to combine the use of digital media and technology to respond to query by unsatisfied customers. Many companies now have bots to compensate for the input of customer representatives. Despite the automation efforts, the industry remains strong in Singapore. The stringent foreign manpower regulations ensure the industry is never saturated. The manufacturing, tourism and retail sector continues to demand the services of personnel in this industry. Many might find it surprising that this industry never made the top spot considering how the medical profession is one of the most sought after. But the salary structure is decided by a lot of factors beyond a personal decision. The healthcare industry in Singapore isn’t as financially rewarding as many think. With the National University of Singapore looking to increase intake for nursing students over the next few years, more healthcare workers are bound to be churned out in their hundreds. With the growth in the other industries, more people will be getting hired. The human resources departments of these industries are bound to have their hands filled. Hiring competent hands while keeping in mind the Singaporean labor regulations can be a tough ask. Experts in this industry can earn as much $18,000 monthly for their effort. With the industries that offer the biggest paycheck in Singapore succinctly outlined, the onus is now on you to arm yourself with the skills required to get in contention for these jobs in Singapore. Get a degree and build your experience from the ground up. Goodluck! Your life stage does not determine your investment style, your personality does. Here’s what you need to know.